BOOK NOW & SAVE. Check out DEALS page! Fiestas and Flamenco music await. See the magnificent palaces of Madrid and the lush gardens of the 14th-century Alcázar in Seville. The Sierra Nevada Mountains and Moorish Alhambra beckon in Granada, with a finale in bustling Barcelona. 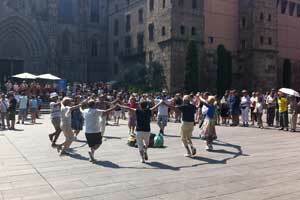 Spain’s global culture offers something special for the adventurous spirit in all of us. Capture gorgeous views of rolling vineyards en route to Jerez. Enjoy a sherry tasting and learn about the region’s winemaking heritage at a local wine bodega. Continue to Cádiz, Europe’s oldest populated city, and marvel at its beautiful architecture, rustic whitewashed Old Town and stunning coastal views. Cost includes round trip transfers, private tour and tasting. Minimum 15 travelers required. La Sagrada Familia, a UNESCO World Heritage site and Antoni Gaudi’s magnum opus, is undoubtedly the most iconic structure in Barcelona. Construction has been ongoing for more than 135 years, and the surreal structure, with its rainbow-hued stained glass windows is beyond words. Cost includes round trip transfers and guided tour. Minimum 15 travelers required. Take off on your overnight flight to Madrid, Europe’s highest capital, and start a one-of-a-kind Spanish adventure. Use this free afternoon to explore Retiro Park and Madrid’s colorful plazas. Visit the Puerta del Sol or take a siesta. Tonight, meet fellow travelers at our orientation and savor local specialties at a traditional, Spanish tapas dinner. 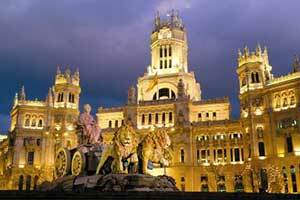 Madrid’s delightful sights include the Royal Palace, lively Plaza Mayor, the Cibeles Fountain, and the monument to Cervantes in the Plaza de España. A leisure afternoon may find you exploring the world-famous Prado Museum to see works by Velasquez, Goya and Domenikos Theotokopoulos (El Greco), or soaking up the culture from a street-side café. Enjoy a free evening to sample fabulous cuisine and the flamboyant city nightlife. This morning we travel south by train to Seville, which legend says was founded 3,000 years ago by the mythological hero Hercules. Our local expert shows us the sights of this stunning capital of Andalucía including the magnificent cathedral, burial place of Christopher Columbus and the Giralda Bell Tower. We’ll also visit the Moorish fantasy UNESCO World Heritage site, the Alcázar, including the 14th-century Mudejar palace and the extensive, lush gardens (Also the primary filming location for the kingdom of Dorne, if you’re a Game of Thrones fan). Dine tonight on Andalusian delights. Today, adopt the Spanish pace of living and enjoy a free day of exploring to fully embrace the culture of Seville. Stroll through the fashionable Santa Cruz Quarter with its attractive wrought-iron balconies laden with flowers or identify iconic locations featured in Bizet’s opera, Carmen. If you’d prefer to venture out to the coast, join our optional excursion to the vineyards and sherry bodegas of Jerez and the ancient coastal village of Cádiz. Our journey continues with a morning trip to the perfectly preserved Moorish city of Cordoba. Visit La Mezquita, a mosque built in 784 A.D., and marvel at its Byzantine mosaics. Walk down the Callejon de las Floras, the most famous, flower-filled street in Cordoba; then cross the equally photogenic 2,000 -year-old Roman Bridge. Later, we continue toward the Sierra Nevada Mountains past gleaming white villages and olive groves, to the hilltop city of Granada. After breakfast, join us for a guided tour through Granada’s historical sites, followed by a trip to the Alhambra. This UNESCO World Heritage site was built primarily in the 13th century and eventually expanded into a sprawling, fortified city. Be dazzled by the Moorish reflecting pools and water gardens. Examine the intricate carved walls within ornate palaces that housed both Muslim dynasties and Catholic royals. Tonight, we board a high-speed train and follow the Costa Brava as we make our way to Barcelona. 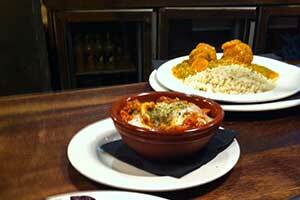 Upon arrival, join us for a late-night dinner at a local, Catalonian restaurant. The options are endless today in Barcelona. Consider a visit to the Picasso Museum, take the funicular up to Montjuich for a panoramic view of the harbor, or do some last-minute souvenir shopping along Las Ramblas. Join an optional tour of Gaudi's art nouveau cathedral, the Sagrada Familia, projected to be completed in 2026 to mark the 100th anniversary of the artist’s death. Continue through Parc Güell to completely immerse yourself in Gaudi’s vision. Tonight, enjoy our festive dinner and fiery Flamenco show as we say farewell to our Spanish adventure. It’s not goodbye, just hasta luego! Today we fly home with memories of this exciting journey across Spain. This cast iron market right outside of Plaza Mayor is a favorite among travelers and locals alike. Visitors can purchase some wine, grab a cocktail or coffee, snack on a variety of ready-to-eat tapas, or pick up some ingredients for dinner later from the fruit, seafood and meat stalls available. This royal palace housed the kings of Spain from the mid-1700s to 1900s. Although the royal family does not currently live in the palace, it is still considered their official residence. It is the largest royal palace in Western Europe with a total of 3,000 rooms, only some of which are open to the public, including the popular armory room and royal pharmacy. Of Madrid's three famous museums, the elegant Museo Nacional del Prado is the most celebrated. Opened in 1819 with the help of Isabella of Braganza (King Ferdinand VII's wife), the museum contains 8,600 paintings and more than 700 sculptures, featuring Spanish, Italian and Flemish styles of art. Among the most famous works featured include Velazquez's "Las Meninas," Goya's "The Third of May 1808," El Greco's "Adoration of the Shepherds." If you're an animal lover or faint of heart, this experience is not for you. But if you're looking to immerse yourself in a Spanish tradition that spans centuries, spend an evening at the Plaza de Toros, Seville's bullfighting ring. Bullfighting has faced a lot of criticism for its animal bloodshed, but many Sevillanos think of the sport as an art form integral to their culture. During bullfights, three matadors each lure two bulls through a series of choreographed movements designed to weaken the animal. In the final of the fight's three stages (tercio de muerte), each matador's goal is to end the bull's life. From 1882 up until his death in 1926, Art Nouveau master Antoni Gaudí devoted himself to the construction of La Sagrada Família (Church of the Sacred Family), a towering Gothic-style-with-a-twist church. He was unable to finish; Gaudí was known for saying "My client (God) is in no hurry." The church, which is funded entirely from public donations, is still under construction today. The Barri Gòtic, or Gothic Quarter, is one of the oldest parts of the city. Here, travelers can explore the intricate architecture and quaint nostalgia of medieval-era Barcelona. The quarter contains many of Barcelona's most prized architectural landmarks, including La Seu Cathedral, the seat of the Archbishop of Barcelona, and the Plaça Sant Jaume, the neighborhood's central plaza. Located near the city center, Barri Gòtic is also filled with small cafés, perfect for people watching; bars, ideal for sampling Spanish beverages; and alleys, sprinkled with shops ranging from espadrille makers to contemporary stores like Mango. You'll also find several street performers strewn throughout the quarter's alleys and squares, which provide an excellent soundtrack to a morning or evening stroll through the neighborhood. Antoni Gaudí's famous Parc Güell is one of the world's most impressive and unusual landscapes and the perfect place to take in the artist's creations. Covering several acres of green space in northwestern Barcelona, this area features everything from mosaic collages to mushroom-shaped chimneys. Gaudí's artistic style and love of Catalan culture is evident through the park's numerous walking trails. 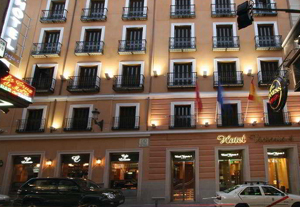 This historic hotel is in the heart of Madrid, by the Puerta del Sol. Facilities include free Wi-Fi and a café-bar on the large outdoor terrace. Rooms are equipped with spacious bathrooms with a bathtub and hairdryer.Sol Metro Station is only yards away and offers easy transport around the city. Victoria 4 is in a lively area, within walking distance of Gran Vía and the Art Triangle. 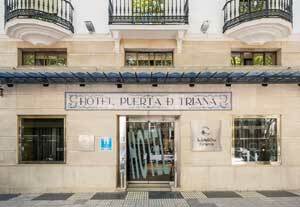 This 3-star hotel is located Seville's historic center and 8 minutes’ walk from Seville Cathedral. 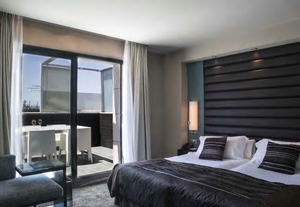 It features bright rooms with free WiFi and flat-screen satellite TV. Calle Sierpes, Seville’s main shopping street, is only a few feet away. Rooms are of modern decor and are air conditioned. 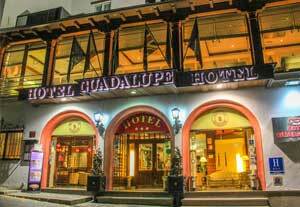 The 3-star hotel Guadalupe features a Mediterranean decor. All room are air-conditioned equipped with a flat-screen TV with satellite channels. The UNESCO World Heritage site of El Albaicin is one mile away It is ideally located 55 yards from the entrance to the spectacular Alhambra palace, Guadalupe offers modern and Andalusian-style accommodations with free Wi-Fi in public areas. Granada's historic quarter is half a mile away. * Price per person based on a twin share room. If you're traveling alone, AESU will attempt to arrange for a 2-share room (same gender). Please see rooming policy. If you prefer a single room, a single supplement of $490 will apply. Email Spanish Fiesta - 9 days to a friend!